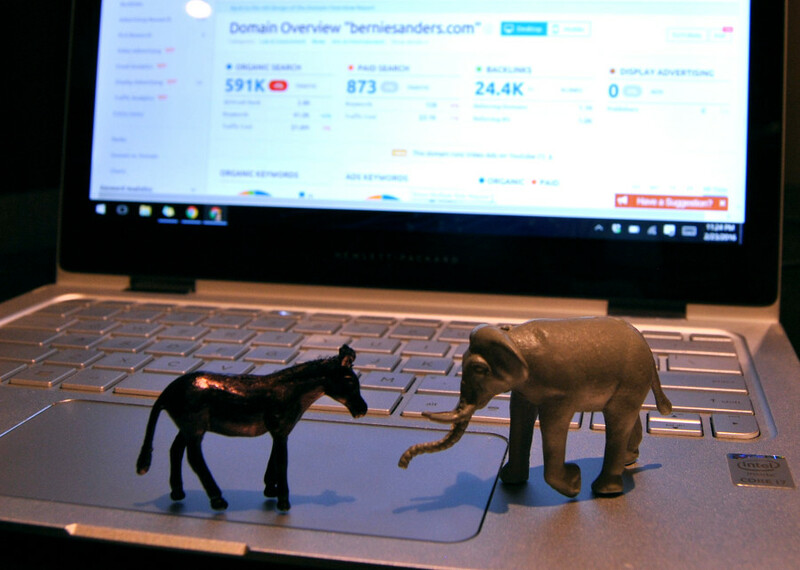 Forget the Primaries, Which Candidate is Winning SEO? On the precipice of primary season, there’s maybe never been a more competitive election. On the Democratic side, you’ve got Bernie Sanders and Hillary Clinton, neck and neck after the Iowa Caucus. On the Republican side, a half dozen candidates who seem to swap places in the polls on a near weekly basis, and until recently another half dozen waiting in the wings. If Barack Obama’s 2008 and 2012 campaigns have taught us anything, it’s that smart use of digital media can pay off big time in the election cycle. Obama rallied voters, especially younger ones, through smart use of social media. In the 2016 election, every candidate is on Facebook, Twitter, even Instagram. But what about SEO? Every candidate has a website – what exactly are they doing with them? How are people getting there? With more than 14 major candidates in contention, someone has to rank for something, right? Is anyone actively targeting an SEO strategy? Sure, SEO might pale in comparison to the traffic driven by gazillion fan Facebook pages and sponsored posts. Email marketing surely plays a tremendous role, especially when it comes to campaign donations. Shucks, SEO probably doesn’t hold a candle to direct traffic as candidates namedrop their domain names during primetime TV coverage. Nevertheless, with the amount of campaign money being thrown around and knowing how well SEO can convert: who’s doing what? I wanted to know so I did a gap analysis. I compared rankings for 14 candidates’ websites using SEMrush. Then I divided the keywords by political issue to determine who performed best in certain categories. The results follow. SEMrush measures any keyword where a website ranks within the top 100 search results, assuming the keyword has a monthly search volume greater than 10. 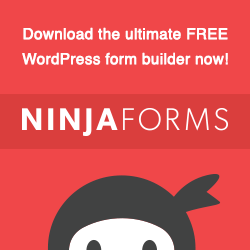 After exporting rankings for 14 candidates websites, I was left with 71,286 unique keywords. Oof. I had to bring that number down, so I narrowed the pool to keywords where at least one candidate ranked in the top 20, because let’s be real, most people don’t look past the second page of search results. New count: 6,925. Of those, 1,704 fit into 16 common issues. Here’s how I broke down the categories, and the number of keywords and monthly search volume in each, with category winners at the right. Of 14 candidates, only four manage to win a category. Those are Bernie Sanders, Hillary Clinton, Donald Trump and Rand Paul. It almost seems hollow now that Rand Paul has dropped out of the race, but he did win two. Not surprisingly, Bernie Sanders dominates in most categories and wins the overall. His site, BernieSanders.com ranks head and shoulders above all others. Of 16 categories, Bernie wins eight: Income Inequality, Planned Parenthood & Womens’ Rights, Climate Change, Minimum Wage, Affordable College, Campaign Finance, Social Security and Racial Issues. 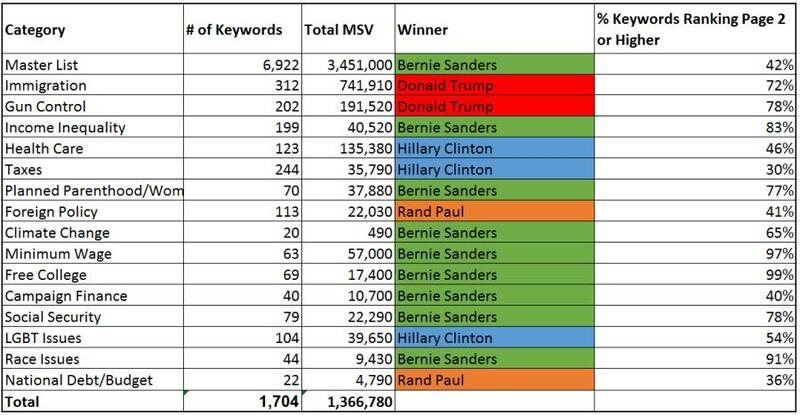 Sanders ranks for 584 keywords with a total search volume of 195,710. Interestingly enough, Bernie does not rank for the highest search volume – that title belongs to Trump. The gap analysis however, typically looks at a breadth of coverage to identify…you guessed it…gaps! Second place goes to Hillary Clinton. She wins three categories including Healthcare, Taxes and LGBT Issues. Clinton ranks for a total of 471 keywords with the second highest total monthly search volume at 210,820. Obviously SEO rankings by no means reflect a politician’s success or likelihood to win and there’s no bigger example of that than RandPaul.com. Rand wins two fairly small categories: Foreign Policy and National Debt/Budget. 135 keywords for a total MSV of 26,820. He might not be in contention for the presidency, but clearly this Rand guy knows a thing or two about SEO (see what I did there?). To claim that any one candidate outright WINS a category suggests that there’s no value in second place. While that may be true for the general election, it’s not true for SEO. Let’s look at the different candidates’ rankings across each category. The numbers in the table below reflect the number of keywords ranking on page one or two for each competitor in each category. Democrats win ten out of 15 categories, and the overall. Those categories are: Income Inequality, Healthcare, Planned Parenthood/Womens’ Rights, Climate Change, Minimum Wage, Affordable College, Campaign Finance Reform, Social Security, LGBT Issues and Race Issues. Republicans win five categories: Immigration, Gun Control, Taxes, Foreign Policy, and National Debt/Budget. These results are not terribly surprising, at least in terms of which party wins which category. It does show that Republican candidates generally have a lesser presence in search results, since you would expect that eleven different websites would generally outrank three when you sum their volumes. Candidate A could outrank Candidate B, but if the searcher is leaning towards Candidate B then they’ll likely get the click. Undecided (or uninformed) voters without a preferred candidate are probably the most likely to be swayed one way or another, assuming they’re searching for issue-based keywords. These voters can be lucrative so there’s still value in pursuing SEO as a viable campaign marketing strategy. Let’s take a look at some other SEO factors that may be of interest. All candidates have HTTPS (secure) sites. This is not one bit surprising since all candidates are accepting campaign donations (yes, even Donald Trump, despite constant claims about being entirely self-funded). Eight candidates use “www” subdomains. Six candidates do not. All candidates follow a firstnamelastname.com domain except for three. Jeb Bush has Jeb2016.com, which is his campaign slogan. One suggestion is that Jeb intentionally opted not to use the Bush family name in an effort to differentiate from his brother. There’s also the fact that he does not own JebBush.com, which redirects to DonaldJTrump.com. Contrary to popular belief, this is not necessarily the Trump campaign’s doing, as the site is actually registered to a company named Fabulous.com. Carly Fiorina’s site is CarlyForPresident.com (well, not anymore), which is odd because CarlyFiorina.com redirects to that domain. In a well publicized blunder, Fiorina failed to register CarlyFiorina.org which now hosts a single page criticizing her layoffs at Hewlett Packard. Ted Cruz failed to register TedCruz.com also. It now has a single page with a banner that reads “Support President Obama. Immigration Reform Now!” Ted Cruz instead has TedCruz.org which likely loses him quite a bit of direct traffic. 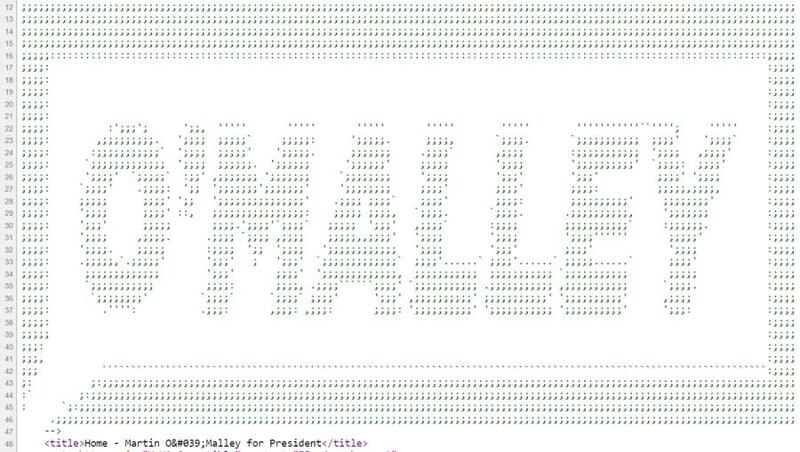 A special tip of the hat to Martin O’Malley, or at least his web developer. I found the above in the header of his homepage.